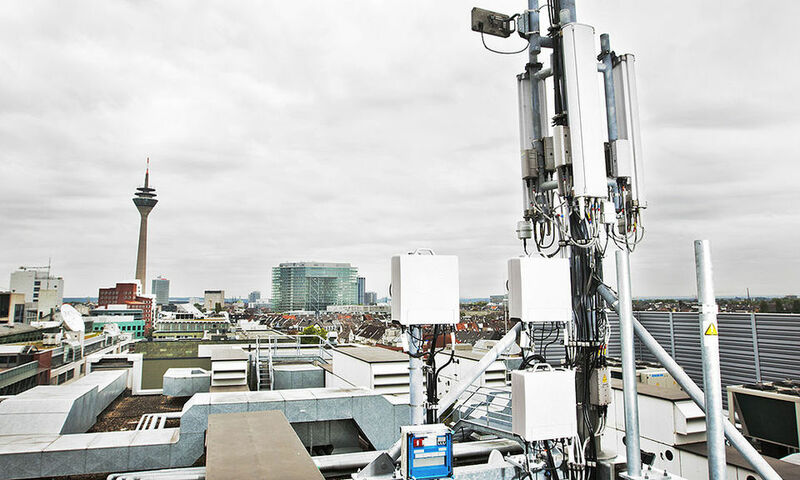 Vodafone offers LTE network now speeds up to 150 megabits per second (LTE Category 4). The speeds are initially available in the cities of Dusseldorf, Munich, Dortmund and Dresden, but are offered in the coming weeks in other cities. It is important to note that the 150 Mbit/s can be achieved only through LTE2600, in the well-developed network LTE800 only about 50 Mbit/s are possible. The smartphone tariffs and data tariff through Vodafone Mobile Internet Flat 50.0 can use the higher speed at no extra charge. The hardware for Vodafone is from Chinese manufacturer Huawei. As the first smartphone with LTE Category 4 is the Huawei Ascend P2 in the Vodafone shops, the first USB surf stick with LTE Category 4 is the Vodafone K5150H, which is also manufactured by Huawei. Might come in the next few weeks to other smart phones and modems, it is speculated, that the iPhone 5S (or whatever it is called) already support LTE Category 4. Many of the customers may of course ask the meaning of 150 Mbit/s whom you look at the availability and the rates. My opinion: on the one hand, it is for Vodafone a great marketing tool for some users, it is certainly important to be able, at least theoretically reach 150 Mbit/s. On the other hand, the total capacity will be increased so that more people get good data rates simultaneously. And since I see the true sense: in places where currently LTE2600 is used, is expected anyway with a heavy load of networks. In the coming days and weeks, the Huawei E3276 4G LTE Category 4 Surfstick will come available, and we will take a few tests on the Vodafone 4G network, so that data rates are achievable in reality. And we will have a clear review about the 4G LTE Category 4 network from Vodafone.